This entry was posted by Anne Reith on September 20, 2018 . In the Pacific Time Zone, the Moon will be full at 7:52 p.m. on Monday, September 24. With this Full Moon, the Sun in Libra will be in opposition (180°) to the Moon in Aries. To further clarify how this Full Moon will impact you on a personal level, locate 2° of Libra and 2° of Aries in your birth/natal chart. The issues associated with those two houses are going to be most impacted by this Full Moon’s presence. All full moons shed light on two areas of our lives and ask us to “check in” to see if we have a good balance between them. This Aries Full Moon is asking us to look at the Aries/Libra axis. Aries is about independence, initiating action, and using our energy. Libra is about interdependence, being diplomatic, and creating harmony. Whereas Aries wants to move forward without focusing on the needs of others, Libra wants everyone to be happy and work together cooperatively. Neither approach is wrong. But at the time of this Full Moon, we need to look at both ends of the continuum to see if we’ve been over-emphasizing one end of the teeter-totter over the other. However, as is often the case, this isn’t a simple Aries Full Moon. This one is going to pack a punch. Two different t-squares (i.e., right triangles) are generating a great deal of pressure. I often describe t-squares as a burr under the saddle of a horse; a burr will cause the horse to buck wildly in an effort to remove it. That’s the purpose of a t-square . . . to get us moving and changing something that might have been needing to be changed for some time. T-Square #1: The opposition (180°) is created not only by the Sun and the Moon. The Sun is conjunct (0°) Mercury, and the Moon is conjunct (0°) Chiron. And both ends of this opposition are squaring (90°) Saturn. T-Square #2: Venus is in opposition (180°) to Uranus, and both are squaring (90°) Mars. But Mars isn’t alone; it is conjunct the South Node, which means Mars is in opposition (180°) to the North Node. An inconjunct (150°) is present between the Sun/Mercury conjunct (0°), which is part of T-Square #1, and Uranus, which is part of T-Square #2. The Sun/Mercury conjunct (0°) in T-Square #1 is trine (120°) Mars in T-Square #2, which means that the Moon/Chiron conjunct (0°) in T-Square #1 is also sextile (60°) Mars. 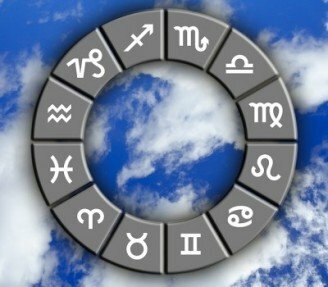 The planets that are squared in any t-square are called the “focal planets.” They provide us with guidance about the most positive ways to work through the challenges that come up due to the opposition. In these two t-squares, Saturn and Mars are the focal planets. Given that the two t-squares are interconnected, an overarching approach is to make sure we are taking responsible (Saturn) action (Mars). Another way to look at this would be to make sure that we are using our energy (Mars) to create stable foundations (Saturn) in our lives. The concept of responsibility is very important at the time of this Aries Full Moon. As mentioned above, an important characteristic of Saturn is responsibility, but Saturn is extra powerful right now because it’s located in its own sign of Capricorn. Additionally, Mars is in Aquarius, and the sign of Aquarius is often known for being overly responsible (for everyone and everything). However, Mars in Aquarius gives us more guidance. It is recommended that any responsible actions taken now should consider the needs of larger groups or humanity. Emotional healing is very possible during the time of the Full Moon given the conjunction between the Moon and Chiron. We may find it beneficial to “speak our truth” to someone. And given that Mercury and the Sun, which are in opposition to the Moon and Chiron, are both in diplomatic Libra, we have the potential to express our heart graciously, which increases the chance that our words will be heard. However, we should make sure we reach out to the right sources when asking for our needs to be met and not just speak of our pain to anyone who will listen. As mentioned above, Saturn plays an important role right now. This means that we may be feeling pretty serious during this time, but it also provides us with stable, mature, responsible energy, which should help us make the best possible choices. As part of that emotional healing, if we are feeling insecure or even angry, this is a good time to look inward and ask ourselves, “What is being triggered in me that needs to be healed?” This is a time when we can increase our self-awareness and self-confidence, but only if we are willing to recognize our wounds and work on healing them. The Aries Moon, though, also speaks to our need to not become overly dependent on others. If someone is creating drama, this may be a good time to retreat. We can use the Sun/Mercury conjunct in Libra to regain our inner balance, find personal peace, and think through our next actions in order to make sure they will be effective. There may be times during this Full Moon when we need to walk alone and, perhaps, learn how to meet our own needs rather than rely on others. Remember, the Aries Full Moon involves a balancing act between independence and partnership, with interdependence as the goal. The involvement of the nodal axis with Mars means that we need to learn from the past in order to move confidently into the future. And given the nodal axis specifically activates Leo and Aquarius, it would be best if we make sure that any actions we take are loving (Leo), while still keeping in mind the needs of the groups or community that we are part of (Aquarius). As was discussed in the last Moon Update, this entire month is powerful! Sometimes the beauty of astrology is just knowing that the energy occurring now isn’t happening just to us individually but to everyone. We each have to walk our own unique path, but we can walk with like-minded others, which is the message of partnership provided by Libra! Mercury leaves Virgo and enters Libra on Friday, September 21, where it will remain until October 11. Our thoughts and words move from being analytical and critical to being more balanced and rational. We often feel friendlier and more outgoing than usual. An increased ability to be diplomatic means we can see both sides of a situation. The only downside of Mercury in Libra is that we can be indecisive and/or too accommodating due to our desire for harmony and peace. But we usually find that our one-on-one relationships benefit from this placement. On Tuesday, September 25, retrograde Chiron moves so far backward that it leaves Aries and re-enters Pisces, where it will stay until early next year. This is giving us another opportunity to heal any issues related to lack of faith. Rather than taking independent, courageous action toward healing (Chiron in Aries), we may need to surrender, dig deep into our inner woundedness, and trust that spirit and our intuition will guide us to the correct answers. The potential while Chiron is in Pisces is nothing short of spiritual transformation! Then on Sunday, September 30, Pluto ends its 5-month annual retrograde phase and begins moving direct again. Pluto is very slow moving, so it may take a few weeks before we see any substantial changes; however, some of us are already feeling the effects. Whenever Pluto is activated, it means an increased chance that something may need to “die” in our lives in order for something new to be born from the ashes. Don’t be discouraged by endings, delays, or setbacks. They are likely necessary to move us to the next level. If we have done the work while Pluto was in retrograde (since April), then we are ready for this next phase in our transformation. And keep in mind that this isn’t just a personal transit . . .it will be influencing our families, communities, and humanity as a whole. Overall, this is a very powerful Aries Full Moon. We are being asked to move to a new level of courage and self-confidence, while also working together with like-minded others on new projects that serve humanitarian needs and create win-win situations for all involved. To do this, though, we may need to face some of our inner fears and wounds. We have the power now to move forward into new territory. The involvement of two powerful t-squares at the time of this New Moon is urging us to move forward on our developmental paths. The energy of transformation is everywhere, but this may require both adjustments and endings. Take clear, strong actions of an Aries warrior, but do make sure that any actions taken are responsible and practical. And finally, don’t forget to also tap into the harmony and grace of the Libra Sun to make your journey a smooth one.